A South African judge on Thursday dismissed a request by the justice minister to block the release from prison of the killer of anti-apartheid campaigner Chris Hani, the latest twist in a saga that has revived memories of the country’s liberation struggle. 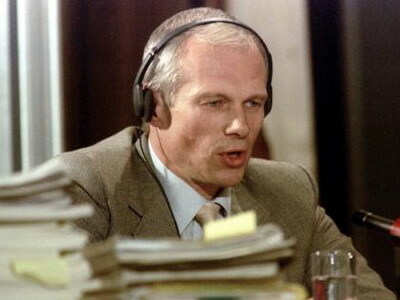 It was not immediately clear when Janusz Walus, a Polish immigrant who has served more than 20 years of a life sentence for the 1993 murder of Hani, would be released. The decision to free Walus has caused anger in a country still dealing with the legacy of the brutality meted out by the white-minority regime that prevailed from 1948 to 1994. “The leave for appeal is dismissed,” Judge Nicoline Janse van Nieuwenhuizen of the High Court in Pretoria said during a brief televised court session. The government’s lawyer said the state would consider filing an appeal at the Supreme Court to have Walus’ parole blocked. Officials from the justice and correctional services ministry said Walus’ lawyers would be in court on Wednesday to seek his immediate release. Spokesman Mthunzi Mhaga told the eNCA news channel that Walus’ lawyers would on Wednesday apply for his immediate release. He said the state would oppose the plea. Walus’ lawyers were not available to comment. The murder of Hani, the charismatic leader of the South African Communist Party (SAPC), triggered nationwide riots, almost derailing the 1994 transition to multi-racial democracy after decades of white apartheid rule. “Walus was sentenced to life imprisonment and that is how long he must remain behind bars,” SACP spokesman Alex Mashilo told eNCA. Walus was sentenced alongside Clive Derby-Lewis, a right-wing politician who provided the murder weapon. Both men were originally sentenced to death, but that was commuted to life in prison after South Africa abolished the death penalty in 1995. Derby-Lewis was freed on medical parole last year.